The Life Science Campus Martinsried is internationally known for the excellent research done here. In the lecture series “Science for Everyone”, campus PIs explain the goals and background of their research for a lay audience. The lectures are held in German and of course free of charge. If you’d like to receive an e-mail prior to each talk informing you about the date, speaker and topic, please send an e-mail with your name, e-mail address and topic “Science for Everyone” to Stefanie Merker: merker[at]neuro.mpg.de. In the entrance hall of the Max Planck Institutes, artists coming from Munich present their works. 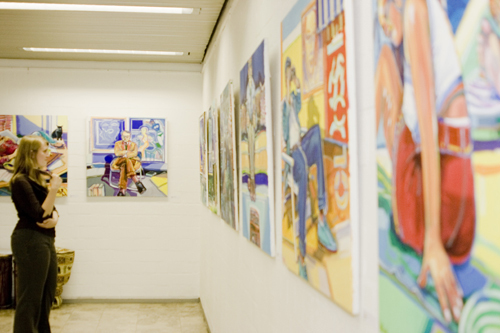 The exhibitions change about every two months and are started with a vernissage. Everybody is welcome. Free admission and anyone welcome!